28 “Then, after doing all those things, I will pour out my Spirit upon all people. Your sons and daughters will prophesy. Your old men will dream dreams, and your young men will see visions. 29 In those days I will pour out my Spirit even on servants—men and women alike. The power of a Spirit filled church is one that has been discussed since before Jesus came to Earth and before the idea of the modern church was born. The verse used above, prophesied the day when His Holy Spirit would fill anyone regardless of age, race, or social standing and was quoted by Peter on the day of Pentecost. On that day, the Spirit of God descended unto the believers in the upper and the believers began speaking in tongues. After quoting from the prophet Joel, Peter delivers the following message to those that had gathered that day. 38 Then Peter said unto them, Repent, and be baptized every one of you in the name of Jesus Christ for the remission of sins, and ye shall receive the gift of the Holy Ghost.39 For the promise is unto you, and to your children, and to all that are afar off, even as many as the Lord our God shall call40 And with many other words did he testify and exhort, saying, Save yourselves from this untoward generation.41 Then they that gladly received his word were baptized: and the same day there were added unto them about three thousand souls.42 And they continued steadfastly in the apostles’ doctrine and fellowship, and in breaking of bread, and in prayers.43 And fear came upon every soul: and many wonders and signs were done by the apostles.44 And all that believed were together, and had all things common;45 And sold their possessions and goods, and parted them to all men, as every man had need.46 And they, continuing daily with one accord in the temple, and breaking bread from house to house, did eat their meat with gladness and singleness of heart,47 Praising God, and having favor with all the people. And the Lord added to the church daily such as should be saved. In Acts we see how the Holy Spirit filled, influenced, and empowered the church. 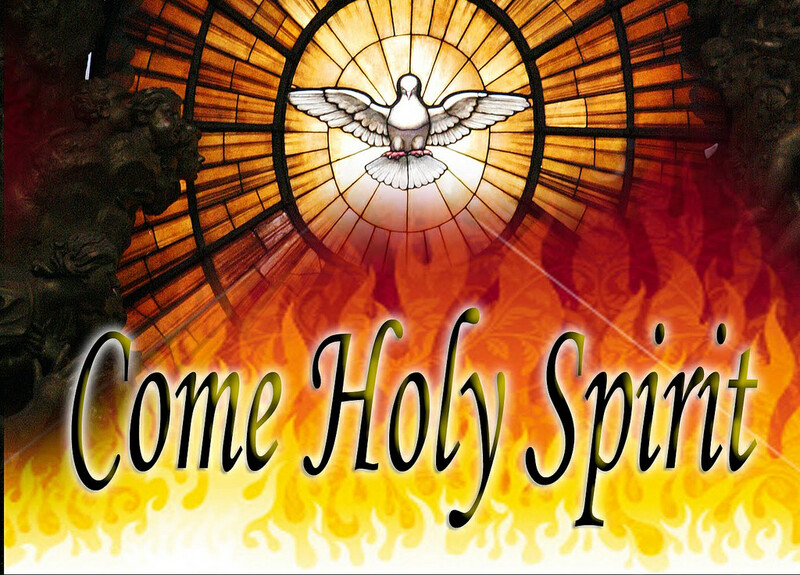 Peter states clearly that the Holy Spirit is is available to all and that everyone should be baptized in the name of Jesus Christ. We see further on from his sermon some of the blessings that the Church body received because of their reception of the Holy Spirit as well. After receiving the Holy Spirit, many signs and wonders were performed. Many sold their worldly possessions and provided for others while being provided for themselves. The Lord added to the church daily because of this. 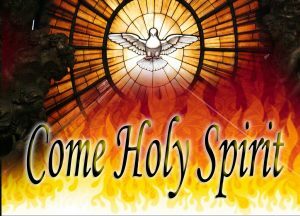 That is how the Holy Spirit blessed the early Church in a matter of days and weeks, but how does a Holy Spirit filled church bless modern day Christians? The Spirit can bless the modern church in many ways, including the ways which it blessed the early Church mentioned in Acts and the lives of the original disciples and apostles. This doesn’t mean that spiritual blessing is limited to the ways it was described in Acts, but that those means are an aspect of what is possible under the influence and impact of the Holy Spirit. It is also important to remember that one of the keys to receiving the Holy Spirit is believing in Jesus Christ and that the Holy Spirit is a free gift available to all mankind. So going forward we will move under the assumption that Holy Spirit filled Churches can be any Church which is full of members who have accepted, obeyed Christ and committed their lives to Him. Perhaps the first thing that comes to mind of an outsider looking for a Church body blessed by the Holy Spirit. If someone was truly looking for a place where they felt the presence of the Holy Spirit, they probably wouldn’t be looking for a Church body that lacked passion or commitment to the full gospel message found in the book of Acts. One would expect to find a Church service full of sincerity, love, and an obedience to the Word of God and the members celebrating their Lord and Savior and basking in the opportunity to gather with those that shared the same values and beliefs. When a church is Holy Spirit filled, their worship takes on an entirely new meaning. This is the same for musical tastes and styles of any believer, whether they worship from a hymnal or with a full-fledged church band. The presence of the Holy Spirit brings a new sense of meaning to worship, when one can sing and praise their God, and do so knowing and feeling the influence and presence He has in their lives. Another aspect of blessing on a Church filled with the Holy Spirit is similar to what was seen in Acts on the day of Pentecost. When the Spirit descended on the people, they not only had the ability to understand one another across differing language barriers, but it also gave Peter the wisdom and words that he was to preach in front of them. From the life of Solomon, we know that God is not only able to impart great wisdom on his subjects, but that he is willing to do so as well. A Holy Spirit filled Church often finds that it is blessed with sermons that give deeper meaning than can be found elsewhere. A Holy Spirit filled Church may often also find that there is clarity given on tough decisions, or that difficult questions are answered to them somewhat miraculously. The applications of Spiritual wisdom are nearly endless, and they can be felt greatly in the Holy Spirit filled church. A third aspect that was discussed in Acts was the strength in relationships felt by those present when the Holy Spirit came down. Many sold their worldly possessions to help their fellow brothers and sisters, and many more experienced an increase in gladness and singleness of heart. There was a unity among the believers because of the Holy Spirit which they shared. This same unity can be felt among the members of a Holy Spirit filled Church body. Whether it is in services, in the friendships they’ve built, or in the works that they undertake together, the blessing of the Holy Spirit flows into their ability to converse, to collaborate, and to touch one another’s lives. A Holy Spirit filled church will find many blessings that come to it, and those in search of a Holy Spirit filled church can often tell by the means which the Spirit has poured out and influenced the prospective Church. It is truly wonderful to be able to take part in a body united by the Spirit of Our Lord and Savior Jesus Christ. If you are looking to be apart of a Holy Spirit filled Church San Antonio Texas area, then prayerfully consider Pentecostal Life Church. 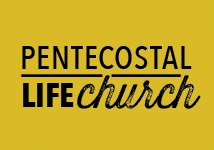 Pentecostal Life Church is a Holy Spirit filled Church servicing San Antonio TX and surrounding suburbs. Looking for a Pentecostal Church San Antonio TX? What is the difference between Pentecostals and Evangelicals? Attend a Pentecostal Revival. Pentecostal Apostolic Holy Spirit Filled Churches San Antonio Texas. Tiffany Locke on Benefits of adding an evening church service to your life. Kairi Gainsborough on Benefits of adding an evening church service to your life.